‘County Lines’ networks involve city gangs using children as young as 12 years old to help move Class A drugs to out-of-town locations. Not only do these gangs stand to reap huge profits from expanding into provincial areas, they have less resistance from local dealers and less risk of being known by police. There are thought to be more than 1000 County Lines operations across the UK: a four-fold increase in just 4 years. The children, lured by the promise of ‘easy money’, sell their drugs via untraceable, dedicated mobile phone numbers or ‘lines’ once in the targeted area. The gangs are skilled at choosing their prey and target children from broken homes, and those living with foster parents or in care. Pupil Referral Units (PRUs), which deal with disruptive children excluded from mainstream education are, according to a new Home Office report, a particularly fertile recruiting ground. Around 16,000 children who are disruptive and cause chaos in classrooms are referred to PRUs. Gang members have been known to watch at PRU gates, preying on children who appear vulnerable – such as those whose parents are not around to pick them up, reports the Mail Online. “Exclusion from school does appear to be a highly significant trigger point for the escalation of County Lines involvement for children who might be on the fringes of such activity”, says the Home Office report. The consequences can be tragic for some youngsters. This month, a drug dealer who used three children from Birmingham to sell crack cocaine and heroin to addicts in Lincoln was jailed for 14 years after admitting charges of modern slavery. Of more concern, he says no matter how many arrests are made by police, young people were lining up to replace those taken off the streets. Cash, new clothes, new trainers, even fizzy drinks can be used as incentives to groom children from disadvantaged families. But youngsters from more fortunate backgrounds are also being recruited. County Lines gangs have become adept at matching runners with the ethnic and social character of their destinations, so that they blend in and remain under the radar. One of the gangs’ most powerful tools is cannabis. The Children’s Society believes eight out of ten young runners involved in County Lines are hooked on the drug. The charity’s Rhiannon Sawyer said: “Cannabis being used to groom children is common. I’d say about 80% of young people will be smoking weed. Maybe not all of them daily, but they will have been given weed from a very young age like 12 or 13”. Gangs that pay children with cannabis instead of cash consider an addicted runner a more dependable runner (at least for a time). In addition, the drug helps dull the pain of long days overshadowed by the threat of violence – be it from their gang masters, rival gangs or customers. Child drugs mules have been raped, burned and had their fingernails pulled out. The Children’s Society has helped girls as young as 12 who have been forced to carry up to 30 drug wraps in their body. “If you think what they are doing out there – continuous drug drops for up to 24 hours day often out in the cold in disgusting places – getting stoned on weed is a way to make it less bleak”, says Miss Sawyer. There could be up to 40 children in a County Line area but each of them will be made to believe there might be only one or two and that they are special. Whereas, in fact, they are just disposable. 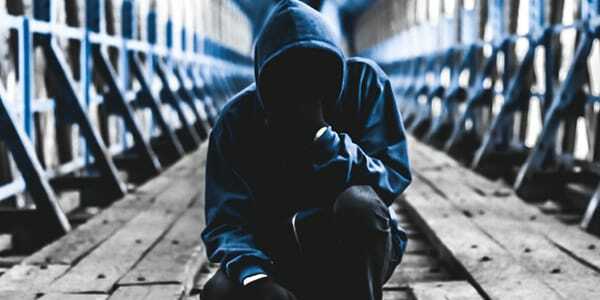 A study carried out by the St Giles Trust charity which consulted victims, parents, social workers and police, found that 90% of exploited youngsters were male, two-thirds were white, and half were aged 13-15. All were drug users, mostly cannabis but also ecstasy and cocaine, and 60% had issues with alcohol. All were absent from mainstream education, all had at some time disappeared from home, and all had been subject to violence. For information on any of AlphaBiolabs’ drug testing solutions, including our home drug testing kit, please call 0333 600 1300 or email us at info@alphabiolabs.com.